These teacher trainings provide students the chance to learn from Molly in-person and connect with an incredible community of people who often become partners in projects and life-long friends. 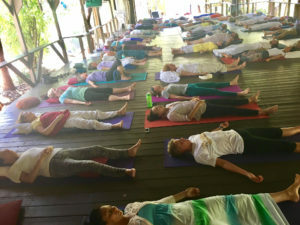 The trauma-sensitive yoga and meditation techniques taught in these trainings are research-based and are used by individuals in communities around the world, including top-level organizations like the U.S. Department of Defense and the American Psychiatric Association. After every training, participants say they came for the professional training and ended up leaving personally transformed! These trainings are 5-day intensive trainings, open to anyone looking to learn about and teach yoga and yoga nidra to transform trauma. This is a great training for yoga teachers, meditation teachers, Physical Therapists and other hands-on therapists. Click here to learn more. These trainings are 5-day intensive trainings, open to anyone. You don’t have to be a yoga teacher to teach iRest Yoga Nidra Guided Meditation! This is the perfect training for teachers, psychologists, social workers, healthcare providers, and caretakers looking to add a mindfulness meditation practice to their offerings. Click here to learn more. 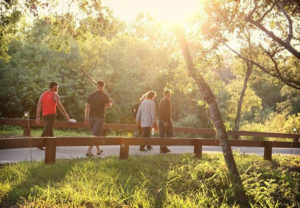 These specialized trainings are perfect for conferences, government institutions, and organizations looking to bring trauma-sensitive yoga and meditation tools to their community. Molly has facilitated specialized trainings in partnership with a wide variety of organizations, including for the City of New York homeless program, Comeback Yoga, Sedona Yoga Festival, as well as programs for healthcare providers, therapists, and yoga/ meditation teachers working in prisons, safe houses for human trafficking survivors, substance abuse treatment programs, schools, mental health hospitals, and much more. These trainings and workshops are a great way to bring evidence-based trauma-sensitive yoga and meditation tools to your population. You can take our online Warriors at Ease: Teaching Yoga and Meditation in Military Communities course anytime online! Molly and the Warriors at Ease Team are featured throughout the training. 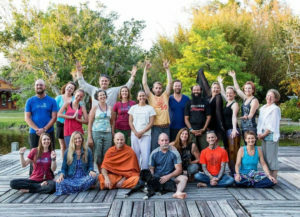 Click here to read more about this cutting-edge training for teachers looking to share yoga and meditation in military/ veteran communities.